A perfect match! 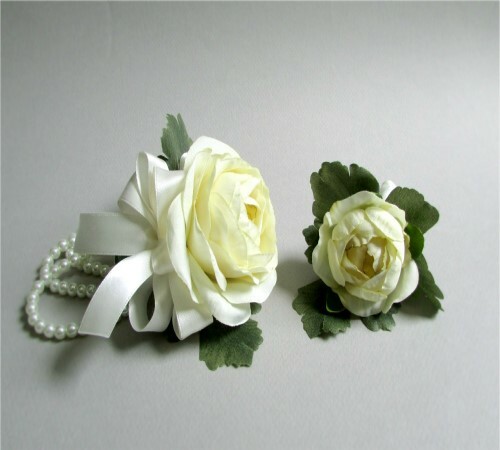 This corsage and boutonniere set features silk ranunculus flowers in a pretty ivory color. 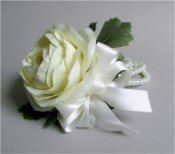 The corsage has a single flower that is accented with sage green leaves and surrounded by an ivory satin ribbons. 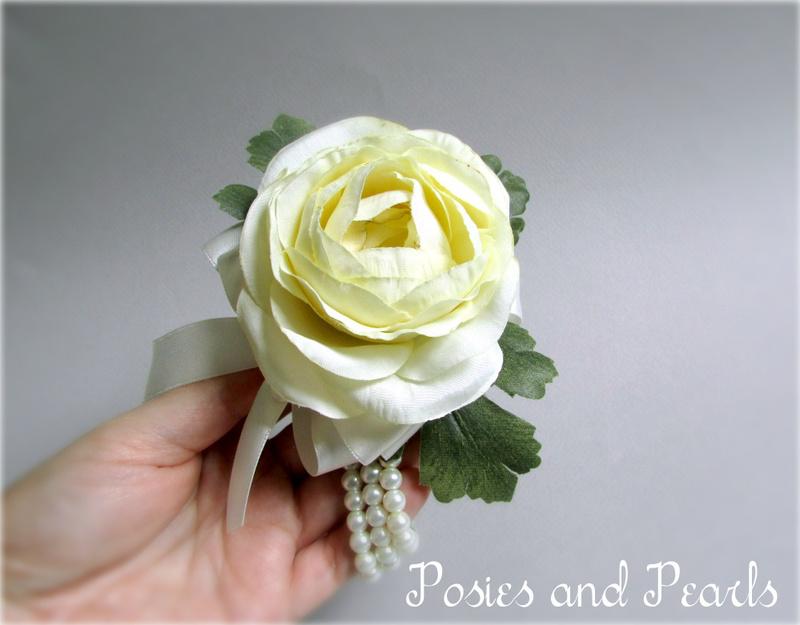 The larger bloom attaches to three strands of 6 mm ivory glass pearls which form a pretty stretch bracelet. 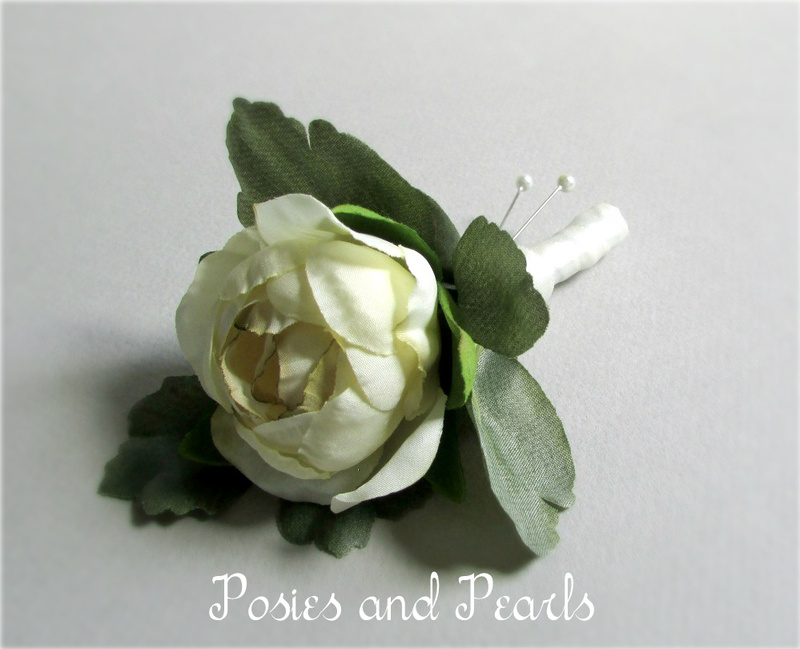 The boutonniere consists of a smaller ranunculus bloom, accented with the same green leaves and wrapped with ivory satin. CUSTOM REQUESTS: If would like to purchase this in a different color or require additional items, please contact me anytime. 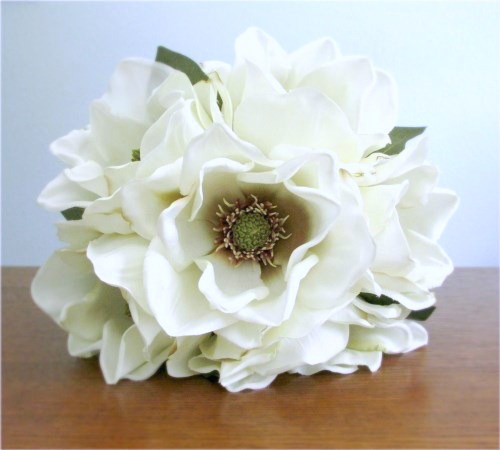 You can even request a different type of flower. 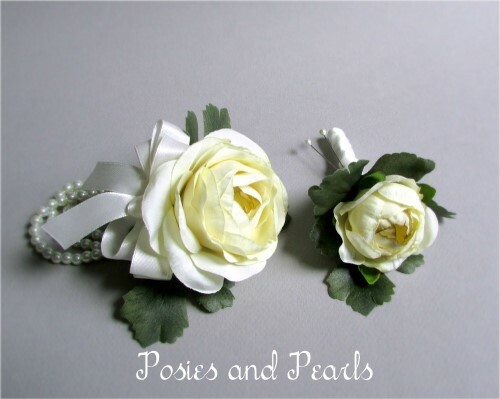 I can also create coordinating pieces for you and each of your attendants including bridal and bridesmaid bouquets, ring pillows, flower girl baskets, sashes, and jewelry.